FY 2020 Budget: The Board will adopt the budget for Fiscal Year 2020, which begins July 1, 2019, and the Calendar Year 2019 property tax rate. 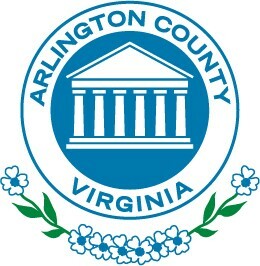 The Board’s adoption of the budget and tax rate follows an intensive public review process that began shortly after the County Manager presented his proposed budget to the Board at its February 2019 meeting. On April 2, the Board held a public hearing on the budget, followed by an April 4 public hearing on the proposed tax rate. The matter now is before the Board, and no further public testimony will be taken. To read the staff report, scroll to Item No. 40, A-Q, on the agenda. Authorizing the County Manager to delete materials from the “Recyclable Materials” list: The County Board will consider a proposed change to the County Code to allow the County Manager, or his designee, to delete materials from the “Recyclable Materials” list with 90 days prior notice. Currently, the County Code authorizes the Manager, or his designee, to add new materials to the list with 90 days prior notice, but does not allow him to delete items from the list. If adopted, the change would allow the Manager to remove glass from the “Recyclable Materials” list for FY 2020. In September 2018, the County informed all residents who receive trash and recycling pickup that glass was being studied for possible removal from the County’s recycling stream because it was no longer being recycled. If the Board adopts the proposed change to the County Code, the Department of Environmental Services plans an extensive public notification process once the Manager formally decides to remove glass from the list of “Recyclable Materials.” Eliminating glass from the recycling stream would decrease the Household Solid Waste Rate by $1.74 in FY 2020. Scroll to item No. 25 on the agenda to read the staff report. Best Western Site Plan, GLUP Amendment: The Board will hold a public hearing and consider a plan by developer Grant Investment Properties, LLC, to build a 48-unit residential tower, a 160-guest room hotel and a 160–space parking garage with a green roof at 1501 Arlington Blvd and 1523 Fairfax Drive. If approved, the redevelopment would replace the low-rise Red Lion hotel (formerly the Best Western Iwo Jima), and a 14-unit garden apartment building on the adjacent sites. Actions the Board will consider include amendments to the General Land Use Plan and an existing site plan. To read the staff report, scroll to item No. 41 on the agenda. Retaining the DEA: The Board will consider awarding up to $11.5 million in Economic Development Incentive Grant funds to the owner of the Pentagon City building that houses the federal Drug Enforcement Agency, at 600 and 700 Army Navy Drive. If approved, the funding would ensure the DEA remains in Arlington for 15 years. The law enforcement agency occupies 511,487 square feet of office space and employs about 3,000 people in Pentagon City. The County has sought to retain large federal office tenants whose size, in terms of occupied office space and jobs, has a significant impact on direct and indirect tax revenues, and local commercial market stability. The DEA and its employees contribute about $450,000 per year to the County in indirect revenue through meals, sales and transient occupancy taxes. If the DEA left Arlington, the loss of occupied office space would account for an increase of nearly 1.3 percent in the County’s office vacancy rate. The EDI grant, if approved, would be paid out over 15 years, and would enable the property owner to secure a 15-year lease with the GSA by offering a competitive lease rate. To read the staff report, scroll to item No. 32 on the agenda. Bicycle Element of the Master Transportation Plan Update: The Board will hold a public hearing and vote on a new vision, goals, policies and projects meant to foster greater use of bicycles for transportation in Arlington. The proposed update to the Bicycle Element of the Master Transportation Plan is the first comprehensive update of the Bicycle Element since it was initially adopted in 2008. The element guides long term transportation planning, and includes future project concepts to enhance the County’s infrastructure for bicycle transportation. It emphasizes developing a bicycle infrastructure network that allows persons of all ages and abilities to feel safe and comfortable while riding bicycles in the County. Residents and stakeholders have offered some 3,000 comments during the planning effort, which began in May 2017 with the formation of a resident Working Group. To read the staff report, scroll to Item No. 42 on the agenda. View the agenda and read the staff reports for this meeting. (Some staff reports will be posted closer to the meeting date). Housing Arlington: The Manager will present the program outline and workplan for Housing Arlington, a cross-disciplinary umbrella initiative that will strategically tackle interwoven issues surrounding questions of how to provide affordable housing for Arlington’s neediest residents and its middle class, while preserving the character of our neighborhoods. The goal is to ensure that Arlington remains an equitable, stable, adaptive community. Public Spaces Master Plan Update: The Board will hold a public hearing and vote on an update of the Public Spaces Master Plan (PSMP), following a lengthy public process. If adopted, the update will replace the 2005 PSMP. The plan outlines the vision, polices and tools for the development and management of the County’s diverse public spaces system, including parks, natural resources and recreational assets. To read the staff report, scroll to Item No. 44 on the agenda. Jefferson Davis Highway Renaming Resolution: The Board will hold a public hearing and consider adopting a resolution asking that the Commonwealth Transportation Board change the name of the portion of Jefferson Davis Highway that lies within the boundaries of Arlington to “Richmond Highway.” The Board’s consideration of a proposed resolution follows neighboring Alexandria voting in 2018 to rename its portion of the state-owned Jefferson Davis Highway “Richmond Highway,” and the Attorney General’s March 22, 2019 advisory opinion that the Commonwealth Transportation Board has the legal authority to change the name of the portion of the highway that runs through Arlington, provided the Board passes a resolution requesting the change. The resolution, if adopted, would ask that the name change, if approved, would take take effect Oct. 1, 2019. This is item No. 45 on the agenda.